Do you ever start making dinner and then come to realize that you are missing most of the ingredients in your recipe? 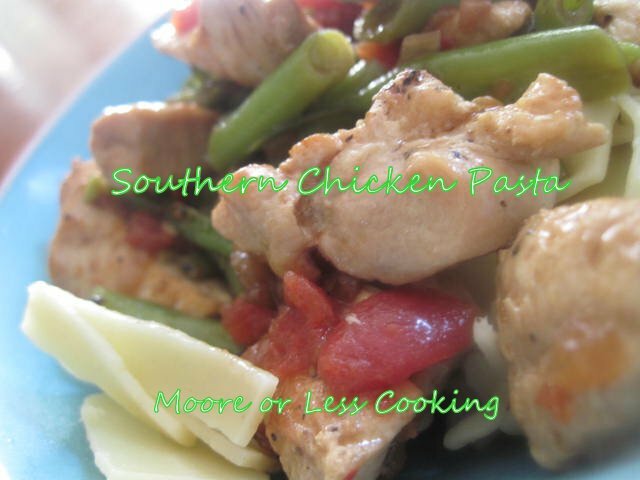 Well that is exactly what I did for my Southern Chicken Pasta only to find out that this dish is fabulous! I have been making all types of pasta dishes with boneless skinless chicken breasts and this one was voted 5 stars out of 5 by my family! It has a great Southern Flavor with the caramelized onions and green beans and tomatoes, it’s like having a Southern Fried Chicken supper without the “Fried” part. Turn off the heat. 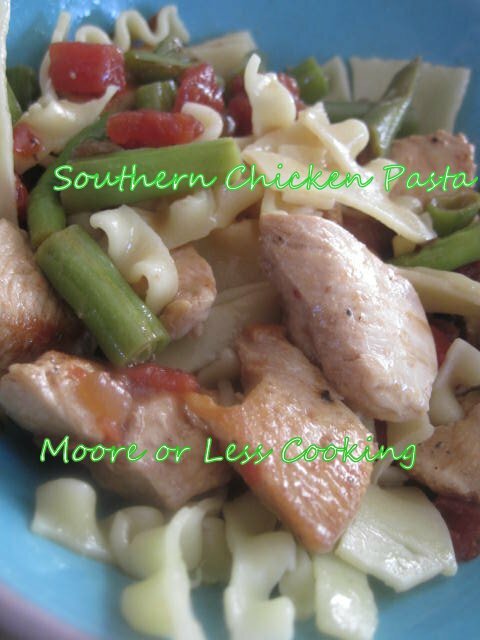 Add green beans, tomatoes, chicken, and cooked pasta to the skillet. Toss to combine. Add plenty of Parmesan Cheese and toss to combine.